After making its debut last week on the Fox Network and based on renowned chef and novelist Anthony Bourdain’s best-selling autobiography Kitchen Confidential, I've been hearing some rather mixed buzz about this new show in Fox's fall lineup that exposes the secrets of the restaurant business through the story of a chef who’s determined to climb back to the top of the food game. However, and putting aside the fact that I happen to be a die-hard fan and admirer of Bourdain's writing (especially his well-crafted novel-length fiction), as well as his extreme eating Travel Channel adventures to the remotest places you could ever think of for sampling the local "cuisine," I personally think this slightly Botoxed and bikini-waxed version of what really happens in a New York City restaurant kitchen, might just be a keeper after all...at least, for a while. In any event, we'll see. Check local listings for exact times for Kitchen Confidential on Fox Mondays. Meanwhile, I would strongly recommend reading a copy of Bourdain's Kitchen Confidential: Adventures in the Culinary Underbelly for a truer sense of his autobiographical life as a New York Chef, as told in his own words. Well, the weekend's finally here, gang. I promised the hubster that we'd jump in the car tomorrow and check out some of the early fall foliage just north of where live – so it looks like that'll be high on this weekend's to-do list. So wherever you might be, make it a good weekend as well -- and as always -- try to make it fun if you can. Hey, after all, life's short -- so why the hell not, right? Peace and enjoy. 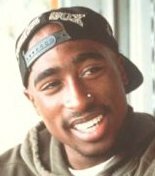 A screenplay written by slain rapper Tupac Shakur is being produced as a feature film "Live 2 Tell," a script Shakur wrote in 1995 about an inner-city black youth, was acquired by Insomnia Media Group, which plans to begin production next March. Insomnia acquired the rights from Tupac's mother, Afeni Shakur, who will be a producer on the film. And, in addition to a documentary of home movies narrated by the slain rapper that is currently being shown on TMC(The Movie Channel) cable network, I think this will be yet another opportunity to get a closer glimpse of this young man who was gunned down in Las Vegas in 1996 -- through his own words. And, let us also not forget what an exceptional acting talent Shakur was, as exemplified in the movies he made during his career. Often overshadowed by his mega Rap persona, few people know that Shakur had also received formal training as an actor. Hence, I'll be looking very forward to this new film's release. Make it a good Wednesday, all. The weekend's not too far away. Peace. On Tuesday, September 27th, restaurants across the nation will donate a portion of their dinner sales to Share Our Strength's Hurricane Katrina Fund. Simply make a reservation at one of the participating restaurants listed in the Share Our Strength link above for the night of the dine around and enjoy. Each restaurant may vary in its menu options, but the proceeds from sales will be donated to the relief efforts. Therefore, you get to enjoy a fabulous dinner -- and know that you're also helping those affected by Hurricane Katrina in the process. So do it, if you can. 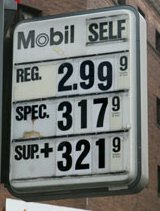 and the upper Texas Gulf Coast, hundreds of thousands of people fleeing Hurricane Rita were stuck in their cars throughout much of Thursday, with many running out of gas and sweltering on roadsides in 100-degree heat as they waited for authorities to bring them gasoline. As was also reported, many with a drop of gas in their tanks left to spare, became so fed up with the situation they politely turned themselves around -- and headed back to the homes they had evacuated. Houston Mayor Bill White said he had been imploring federal and state officials since early Thursday to reverse traffic flow on the inbound lanes, but that it had only begun to occur by mid-afternoon -- along with the fuel trucks for out of gas motorists trying their best to get the h*ll out of Dodge as the old saying goes, and as they were instructed. "I would say there will be some learning experiences," the mayor is quoted as saying. Hmmm...sounds like a plan, Mr. Mayor. 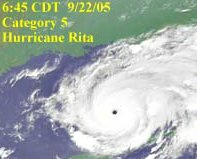 Katrina & Rita: Is Global Warming The Answer? Make it a good and SAFE day for all of you in the Gulf regions of the US today. If you can, and are told you MUST evacuate, then please, by all means... DO IT. Peace. For those of you old enough to remember, of course you already know that on Saturday mornings many years ago, a great man of science named Mr. Wizard would grace our TV sets, instructing us kids on all those wonderful scientific facts we failed to learn during the week, in most instances, due to sheer lack of paying attention in science class. Today as adults, however, we can just as easily turn on the Food Network Channel and see Alton Brown in his own informative showcase called Good Eats, and he'll give you all those useful little scientific tidbits and more, prompting you to say, "Hey...I never knew that!" as well as being a pretty good darn culinary wizard in his own right. Affectionately referred to at times as part chef, part McGiver, and part mad scientist (once again...all in the name of good fun!) Alton serves up his food facts along with some far more molecular and kinetic facts from boiling water to preparing the perfect bouillabaisse. I'm also presently loving one of his Good Eats DVDs that can be purchased through Food Network. Check your local TV listings and don't forget to tune in for Good Eats weeknights on the Food Network Channel. Also, as promised, I'm pleased to give a shout out here to my good friend, Carrie Kabak, who has been blowing us all away with her fantastic debut novel titled Cover The Butter which hit the bookstores this past June. And, once again, Carrie's coming back with a *second* dynamite offering of strong female characters and all-out good reading titled, Tarts And Sinners. 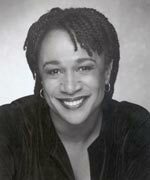 Huge congrats to Law and Order's S. Epatha Merkerson's on her big win at last night's 2005 Emmy awards for her portrayl of Nanny in one of my favorite HBO movies ever, Ruben Santiago-Hudson's Lackawanna Blues. So deserving of this award for her work in this exceptional film, I can only say that this time the Emmys...got it 100% RIGHT. Way to go, Ms. Merkerson! Corporate America answering the call for more teachers. International Business Machines Corp., worried the United States is losing its competitive edge, will financially back employees who want to leave the company to become math and science teachers in an all out effort to Encourage Employees To Teach. And it's certainly being touted as an effort that is well worthwhile, in a time of an ever increasing need and unheeded call for Americans to become teachers. Clearly, this one will be an effort worth watching as it develops, with all good wishes to those IBM employees who continue to sign on for the cause. 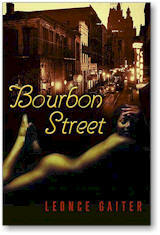 Set in 1958 in New Orleans during Mardi Gras, Bourbon Street and the Big Easy comes alive in this well-told suspense/crime novel by Leonce Gaiter that I am now knee-deep into... and loving it. At only 169 pages, the complexities of race relations, social climbing inequalities, revenge, and murder grabs the reader by the collar from the onset, to see this city and its people in another time of our history. And yes, I took the liberty of touting it here *before* finishing it, because I think it's truly THAT good! So if you're looking for a short read as well as a good one, I don't think you'll be disappointed with this one. Bourbon Street is clearly a stunning debut by Gaiter, and I'm no doubt looking forward to his next offering -- which I hope will be sometime in the very near future. Well done. that for all aspiring novelists will further reiterate the importance of the tedium in finding a literary agent and champion who truly...gets your story and the message you're trying to convey to your reading public. A factor that is so very *vital* in the overall business of publishing, and putting your work "on the book shelves." Make it a good Thursday, all. Peace. I've just finished reading this one and needless to say, as a former food article writer I think it's a true winner. Dianne Jacob, herself a journalist, food-writing instructor and coach offers interviews with award-winning writers such as Jeffrey Steingarten, Calvin Trillin, Molly O‛Neill, and Deborah Madison, plus well-known book and magazine editors and literary agents. 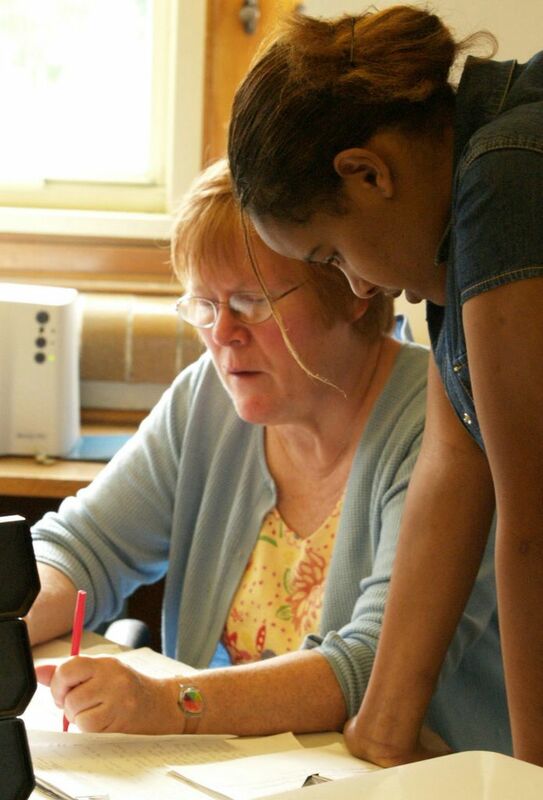 Here, she gives readers the tools to get started and the confidence to follow through. Comprehensive yet accessible chapters range from restaurant reviewing to cookbooks to memoirs. Focused exercises at the end of chapters stimulate creativity, help organize thought, and build practical skills. Will Write for Food is the first and ultimate ins and outs guidebook to the world of food writing -- as well as an all-round good read. Certainly, these days, anything that's motivational in a writerly sense -- will most definitely get my vote. :) And if you've never done it before, but have flirted with the idea of food writing, I highly recommend giving this book a look-through to get you started. Photos of children separated from their parents by Hurricane Katrina have been posted in an effort to reunite them with their families. 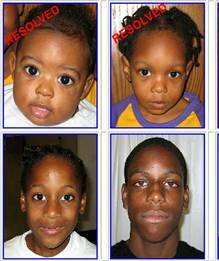 These pictures can be found at the National Center for Missing and Exploited Children website. So far, several cases have already been happily resolved. For those unable to access the Internet in areas where Katrina knocked out electricity, the center has set up a telephone hotline at 888-544-5475. You can also connect with missing family members and loved ones affected by the Katrina disaster by leaving an online message at MSNBC's Crisis and Recovery website. In any event, simple semantics or a minor case of "resume embellishment" aside, Brown's qualifications as previously submitted may still be seen by some as not enough to handle the responsibilities of his appointment, as demonstrated by the lag time in response to the events of the recently ravaged Gulf Coast. Clearly, this is yet another development that will be interesting to watch as it unfolds. And hopefully, the needs of the people in the case of future threats of natural disaster will be the primary consideration in the outcome. Job listings for displaced Katrina victims. Dedicated to feeding the hungry and ending massive American food waste. Dine For America Katrina Relief Effort. 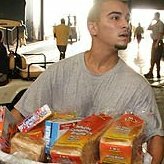 will donate 100% of all sales of New Orleans-inspired sandwiches, side dishes, and entrees at his Big City BBQ restaurants in Tempe and Mesa, Arizona, to the relief of Hurricane Katrina victims. And without a doubt, this is a wonderful sight to see from the food industry community who collectively have been stepping up to the plate – to lend their support to the ongoing Katrina Relief Effort. Way to go, Chef Brown! Like many others across the country today I pulled into a local gas station, filled my tank, took a deep breath to get over the shocking bottom number on my credit card receipt, shook my head, then proceeded home. But then again, I was also thankful for: a) having a car that's not totally submerged underwater, and b) the ability to be mobile -- when so many thousands of people right now are not. No doubt, if there was ever a time to take anything I happen to have in this life for granted, right now is certainly not that time. All I know, is that right now I'm strongly considering a move to Venezuela. and water Friday afternoon in New Orleans. And, as we all know, there is still so much more that needs to be done in the way of food and nourishment, especially for the many mothers with young children and newborns who are now seeking refuge in shelters throughout the southern states of the U.S. and elsewhere. 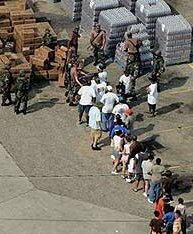 So if you can, do give generously of your time, money, and efforts to lend a hand to our fellow *Americans* of the Katrina disaster who sorely need your continuous help and support. And you can certainly get the ball rolling at Feed The Children where every cent of every dollar you give is openly accounted for, as indicated on Feed The Children's annual IRS filings and income disclosures. I'll be working here in NYC this weekend to stack shipments of disposable diapers, baby formulas, non-perishable foods and bottled water and juices that can hopefully be turned over to our government to be air dropped into New Orleans and the surrounding areas that so desperately need it, once the National Guard is further in place there. Clearly, as been already said -- "flying" over this area in an air-conditioned Air Force One jet plane and "surveying" the damages AGAIN and AGAIN will do absolutely nothing for our fellow Americans down there who are now suffering severely in the most nightmarish conditions imaginable. Neither will the lackluster "tough talk" on call-in radio shows by the local politicians of the city of New Orleans and photo ops. It's time for nothing but solid, meaningful ACTION. Best to all of you who will also be spending the next few days trying to get aid to people who desperately *need* it. Certainly, the bumbling misadventures and sheer lack of leadership of this past week has taught many of us the true meaning of: "Shock and Awe."